The digital landscape of the RSN market is evolving rapidly, adapting to shifting viewing habits. In particular, the rise of in-market streaming indicates networks’ intention to reach sports fans wherever they are and on whatever device they prefer, rather than encourage all viewers to watch the linear telecast on their living-room screens. 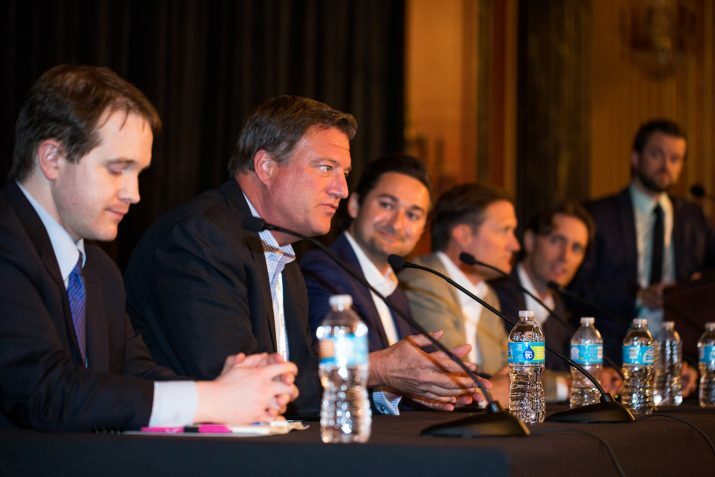 At SVG’s RSN Summit in Chicago, a panel of digital leaders from a wide range of RSNs and technology vendors converged to discuss in-market streaming, their OTT offerings, and growing opportunities for social interaction. Michael Spirito, currently VP, business development for Fox Sports Regional Networks, recalled breaking new ground at YES Network in 2009 when the RSN decided to stream all New York Yankees games in market. Today, Fox Sports Regional Networks is in years two and three, respectively, of MLB and NBA in-market streaming deals, and RSNs across the country are finding tremendous success in streaming their games. Washington Wizards and Capitals owner Ted Leonsis recently took this idea one step further with the launch of Monumental Sports Network, a direct-to-consumer OTT offering. Network VP/GM Zach Leonsis sees the direct-to-consumer movement as the way to gather data about who the consumers are, as well as where and how they are consuming content. With a limited number of seats available in venues and an increasing number of fans cutting the cord (or never connecting in the first place), Zach Leonsis stressed the opportunity of Monumental Sports Network to be the “touchpoint” between teams and fans. In New England, NESN launched its NESN GO offering earlier this year in cooperation with MLBAM. Although the OTT product has been a hit with a more mobile generation of fans, NESN SVP, Digital, Michael R. Hall said that his group will work to determine how to measure ratings and create revenue. The panelists from Fox Sports Regional Networks, NBC Sports Regional Networks, Monumental Sports Network, and NESN agreed that the push to in-market streaming and direct-to-consumer OTT is intended to match up with fans’ evolving viewing habits; a thought echoed by TokBox Global VP, Business Development, Brian Johnson. The panelists also discussed the rise of live social-media opportunities, particularly with Facebook Live. Although it may seem that Facebook Live has always been a part of many networks’ digital strategies, Spirito reminded the audience that the platform is less than two years old. The newness of Facebook Live — along with other live social platforms Twitter, Instagram, and Snapchat — has prompted a wave of experimentation to determine what works, what doesn’t, and what fans want. “The numbers around these social platforms are just enormous and are too big to ignore, frankly,” said Murphy. “So we’re experimenting on all social platforms right now. Specific to Facebook Live, all of our regional sports networks are experimenting in their own ways; they’re getting very creative.